Fish surfboards are popular because they work really well in small waves. The wide outline and the big swallow tails offer a good planing surface but this doesn’t happen without sacrifices. Fish boards tend to become harder to control when the surf gets bigger. The rails don’t give that much hold and precise turns become more difficult. 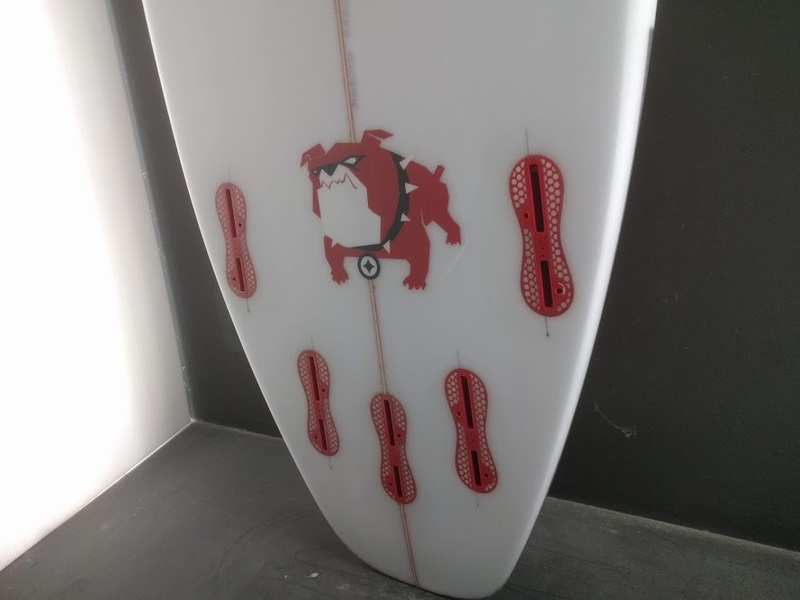 We designed the Bulldog to battle the weak points of a fish boards without losing the advantages in small surf. Our starting point was the Flying Fish so the outline is almost fish like. 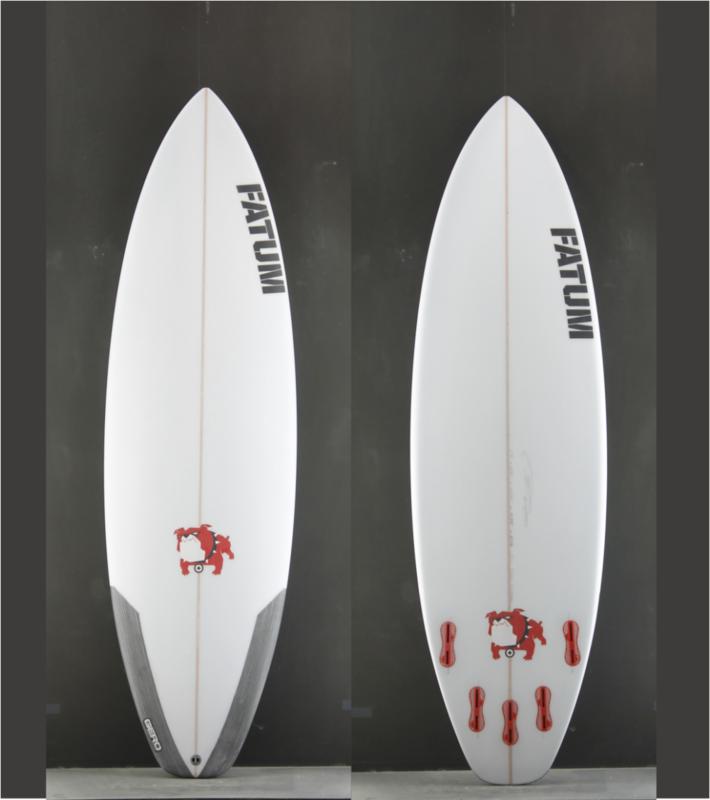 Compared to a regular shortboard it offers a fuller nose and wider tail. This gives you the paddle power and planing surface you need in small surf. 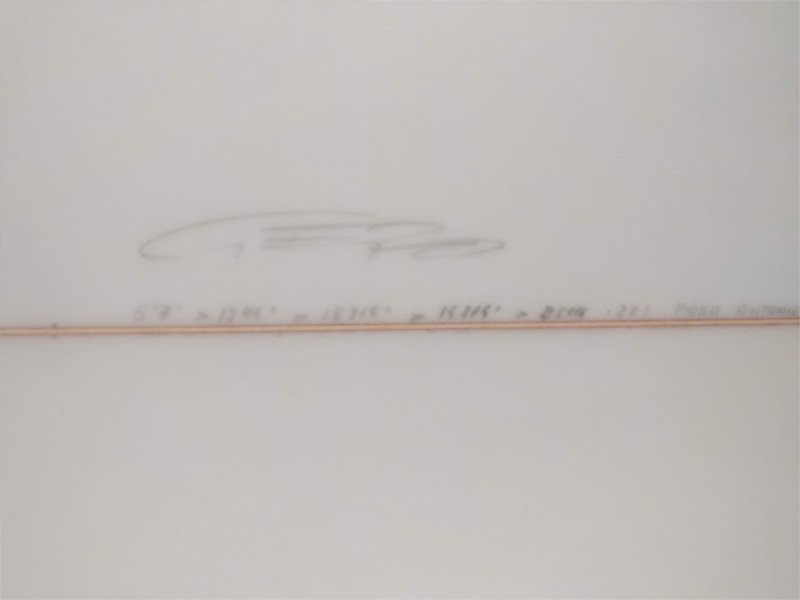 The real trick is in the bottom shape of the board. The easy entry rocker comes from a fish board and the tail rocker is adapted from a shortboard. This way you keep the sharp shortboard feel but keep the positive small waves attributes. The single to double concave blending into a vee behind the back fin makes the board agile with quick release from rail to rail. After testing the board in many different conditions we couldn’t believe how well this concept actually works. Depending on the skill of the surfer the Bulldog could very well be a one fits all surfboard.